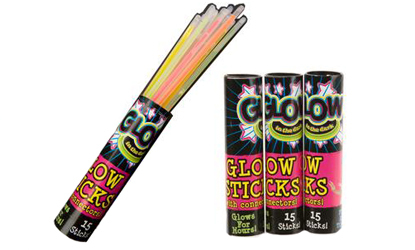 This 15 piece glow stick pack, makes for individual bracelets, or just op the connectors on the end and make long necklaces, ankle bracelets. If you`re feeling really creative you could tape them around a door for a glowing party, or use them to light up your tent when camping! Just snap them, and glow the night away for hours!